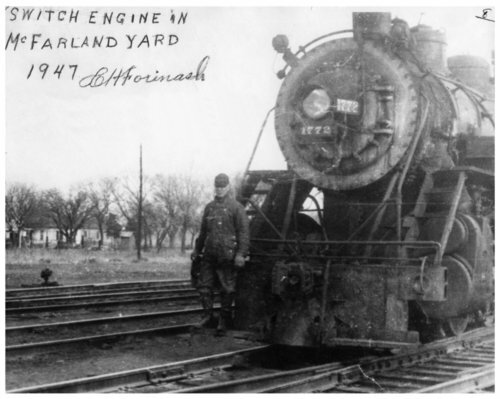 Black and white photograph of Clyde Forinash standing on the front of switch engine No. 1772 in McFarland, Kansas. The photograph is signed by Clyde Forinash.